It’s the most famous Island landmark hardly anyone has ever seen. Built in 1895 as a marine hospital, the old plantation-style manor, with gray shingles, white trim and a sweeping balcony, on its 4.4.-acre hilltop, once commanded a view of Vineyard Haven harbor. At some point over the years the building acquired a white clapboard façade, enhancing its resemblance to Tara in Gone with the Wind. Across the broad lawn, a ring of pine and oak trees grew tall, obscuring the water vistas, and, at the same time, the long deserted building too. For years the building has been owned by the St. Pierre family who have operated the property as a children’s camp. In 2010 they made plans to sell the building. The Martha’s Vineyard Museum is now that buyer, and last Sunday the museum hosted an open house to familiarize the community with their purchase and plans for the future. The first sight of the winged mansion reminded this reporter of Brideshead Revisited, observed yet again some 70 years later, after the last mad family member has died. Once inside, the scores of visitors found themselves in a central cluster of rooms with magnificently tall windows and 20-foot ceilings. There was also cracked plaster along the walls and floors resembling something closer to compost. Time had certainly told its tale. David Nathans, executive director of the museum, gave one of the tours. A boy of about nine shuffled about the room. “Where are the ghosts?” he asked. He seemed undaunted by the prospect of transforming the ornate yet ruined walls into a center for museum activities, including lecture rooms, a library, souvenir shop, exhibition halls, café, administrative offices, sculpture gardens and a walkway to the signature 1854 Fresnel lens now presiding over the grounds of the Thomas Cooke House. The museum board will grapple with the massive overhaul in phases, Mr. Nathans said. 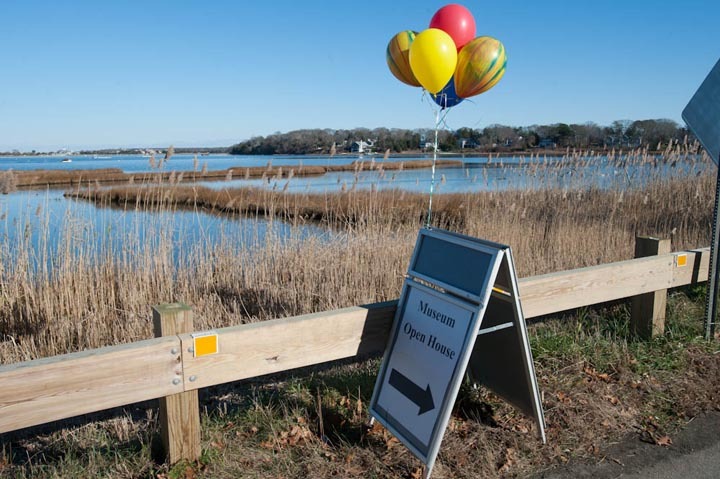 Mr. Nathans said the museum will employ South Mountain Company in West Tisbury in concert with a Boston architectural firm for the project, which is expected to take several years to complete. He then pointed to the monolithic, neo-Georgian annex, built in 1935, which was hewn from concrete, making changes in room sizes all but impossible. “That building will go,” he said. “And with it the morgue to make way for the new stairs,” he added with a chuckle. The implication: good riddance to the ghosts. Sightseers continued to mingle upstairs and down in the old, decayed rooms. The sense of grandeur was overwhelming and even amid the decay it was possible to envision, in the not-too-distant future, the rooms as repository for all that is Martha’s Vineyard.